As the weather is improving and I can hopefully start to transition from puffy winter coat to light jacket, I can’t help but think of lighter recipes and all the colorful produce Spring and Summer have to offer. When I was asked to join the #AsianSaladFeast link party, the first thing that popped up is this Indonesian urap sayur. I haven’t had urap for the longest time ever. 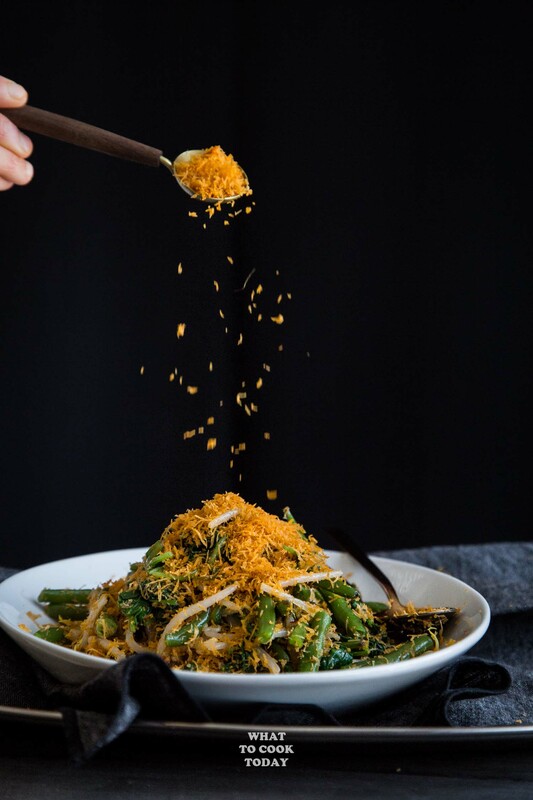 Urap or sometimes known as Urab is basically an Indonesian salad, one of the popular Javanese salad, made with steamed or boiled vegetables. 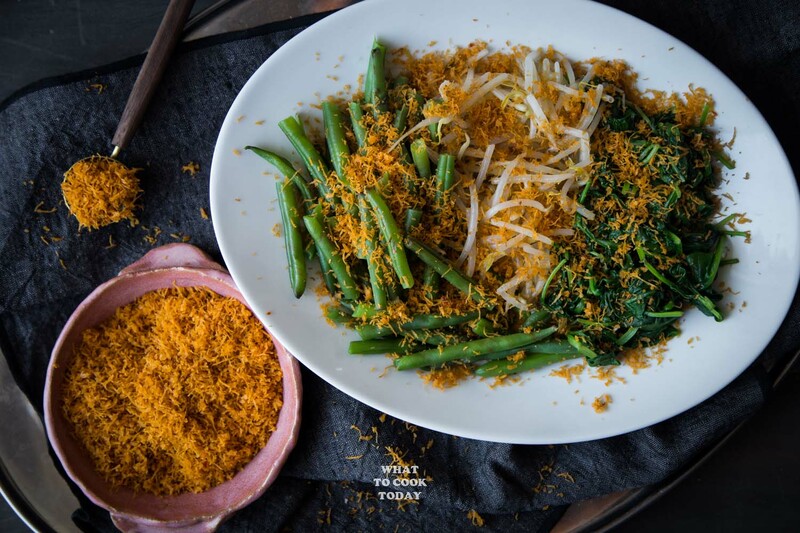 The vegetables are usually the combination of several of these: spinach, water spinach (kangkung), mung bean sprouts (tauge), green bean/long beans, papaya leaves, cassava leaves, and cabbage. Of course, you can use whatever vegetables your heart desire, but those are pretty common combinations. 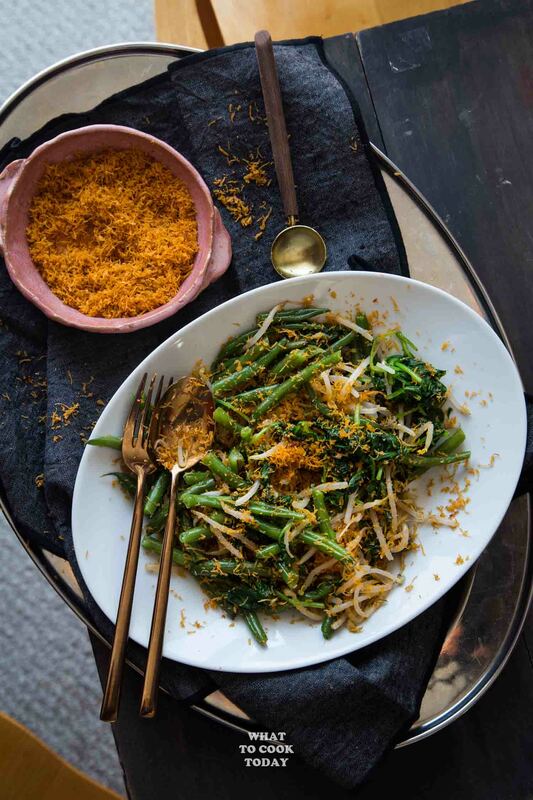 I used spinach, mung bean sprouts, and green beans in this recipe. 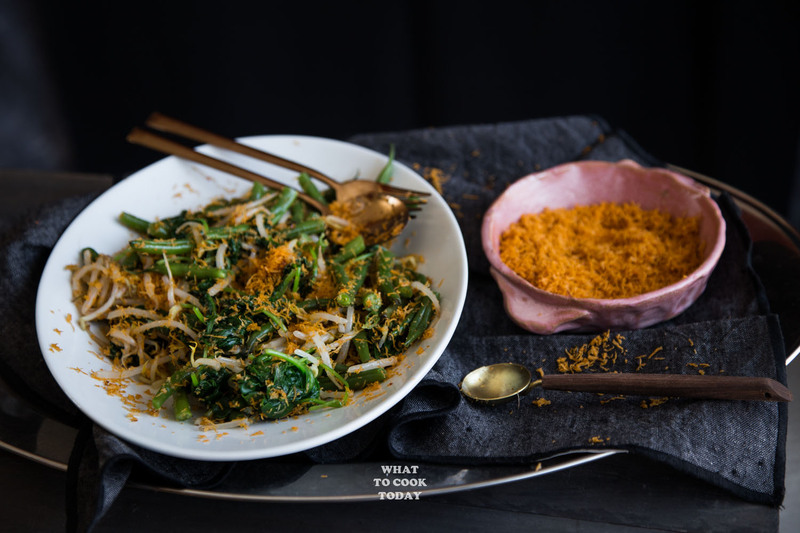 The spiced grated coconut topping is what makes urap special. 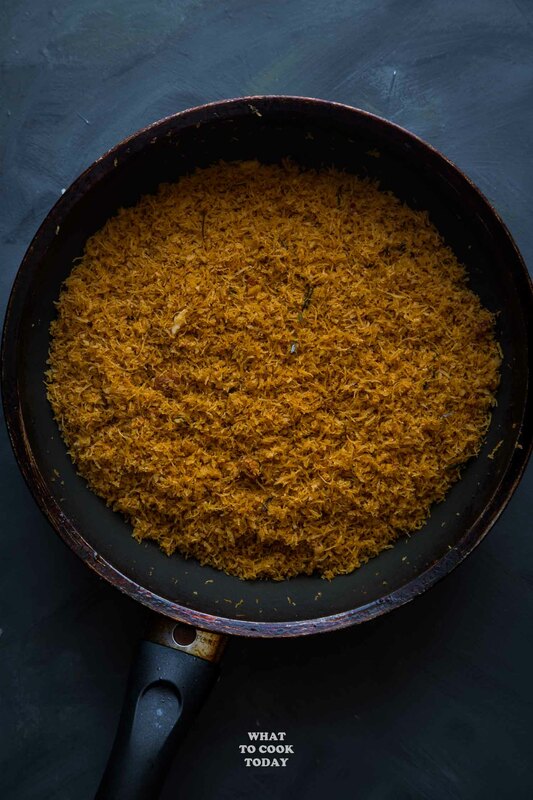 The grated coconut is cooked with spices and herbs and so it is very aromatic and picks up the orange hue from the chili paste used in the recipe. The topping is usually sprinkled on generously on the salad before serving. 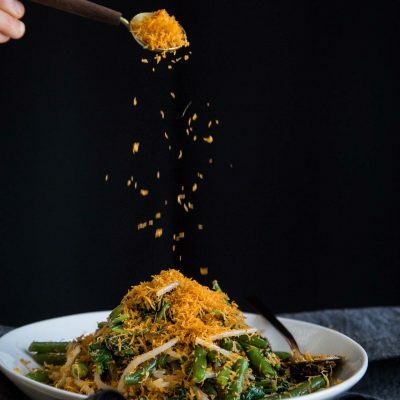 WHERE TO FIND GRATED COCONUT? Grated coconut is available in majority Asian grocery stores. They are usually at the frozen section. If you really can’t find grated coconut, you may use desiccated coconut. Desiccated coconut is so much drier though and so, if you use it, you need to add some coconut milk for hydration. 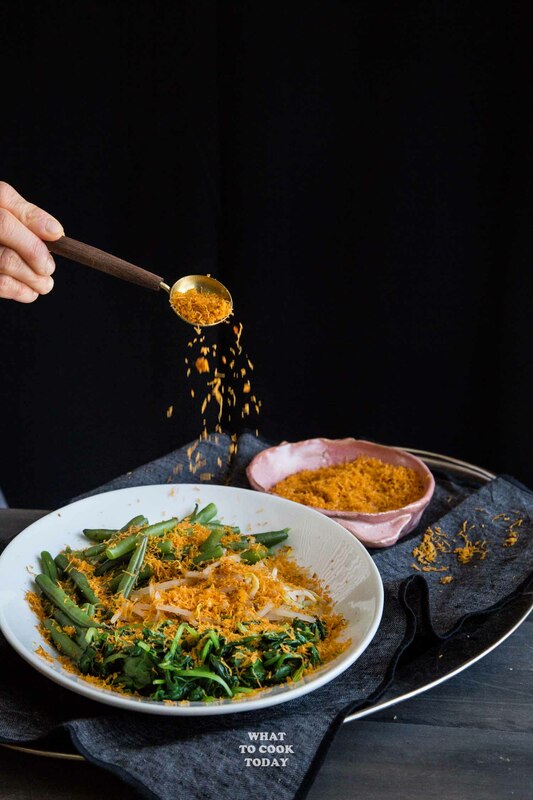 WHAT ELSE CAN I USE THE SPICED GRATED COCONUT TOPPING FOR? I made a double batch of the spiced grated coconut topping so that I can also use this on other salad. It works really well with other salad greens or sprouts too. All these ingredients are readily available at Asian grocery store. Also check out my Southeast Asian Pantry for more details if you are interested. This leaf really has no close substitution if you ask me. It’s available at Asian Grocery store, sometimes in the freezer section or in the refrigerated aisle during Summer when it’s abundant. There are 13 other food bloggers who are joining this #AsianSaladFeast. Indeed it is a feast. Don’t forget to check them out too. Thank you Kimchimari for including me in this feast!!! I LOVE Indonesian food but never had this dish. It looks absolutely delicious and of course your photos are always so beautiful. Thank you for the recipe! Thank you Christine. I hope you like it if you have a chance to give it a try!! Marvellina, this salad is brilliant! 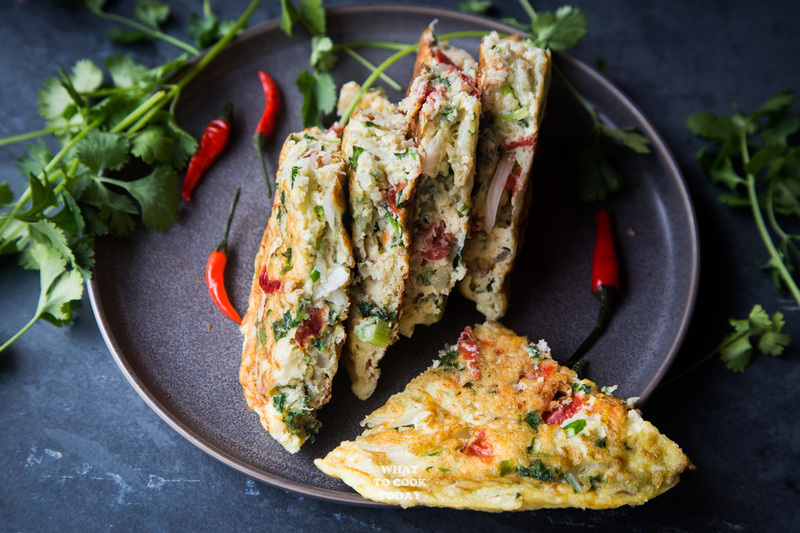 Loving the fun texture combination of the toasted coconut and the delicious aromatics. We can’t wait to give this recipe a try. Gorgeous photos too! I’ve never heard of Urap but sounds amazing. I love learning about new cuisines so thanks for breaking down the ingredients! Um, how amazing does this look?!! Gorgeous photos! Ohhhh Marvellina, this salad looks absolutely DIVINE! 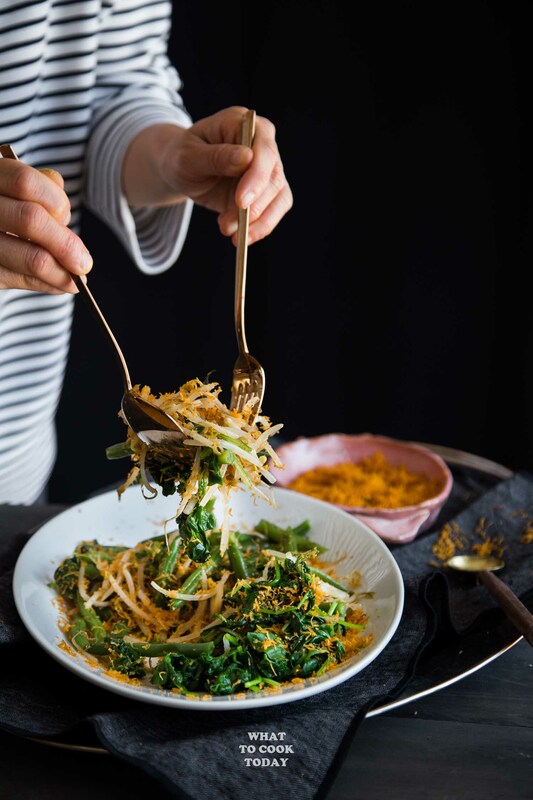 I am a sucker for anything with lots of coconut, and I totally need to try this vegan-friendly salad ASAP. 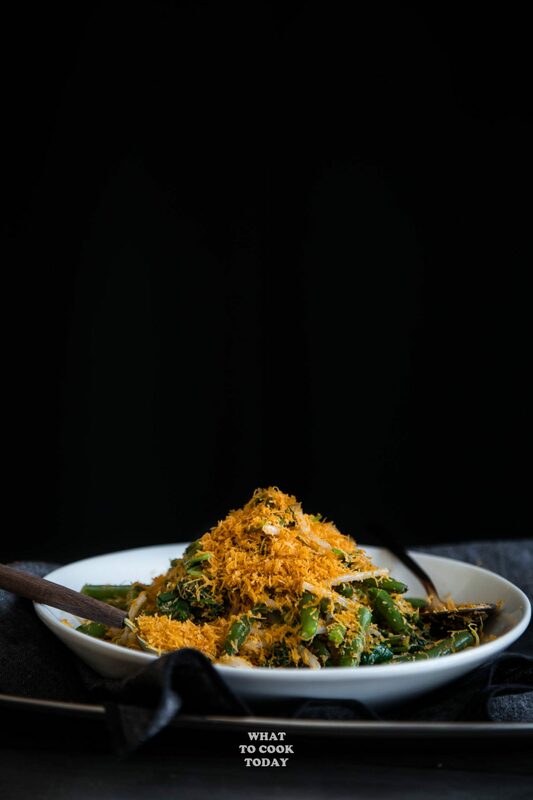 I am definitely going to pick up some green beans at the market and whip this up soon. P.s. your photos are so GORGEOUS… wow! Marvellina, where has this spicy coconut topping been all my life!!!! I am going to make a giant batch of this and top everything with it!! YUMM!!! Ooooo I miss urap so much Marv, and all your lovely photos are not helping. I keep forgetting to buy some frozen grated coconut when I do my grocery. Must put it in my reminder so I won’t forget next time, haha. Thank you Jean. It’s such a humble salad but so tasty with the topping. Thank you so much Ann. You have amazing creations and photos yourself!!! I hear you Anita. That’s what happened to me before. Kept forgetting to buy grated coconut and then I forgot about it and hence the delay like few years later ha..ha…!! Love this so much! Thanks for sharing Marverllina! I love this salad and the flavors combinations. Thanks for sharing the details about ingredients. I can’t wait to try this recipe. Your photos are beyond amazing!! Marvellina, thank you for great information about special ingredients. I have never heard of this salad before and learnt so much form your post. Oh my yum!!! This looks absolutely delicious and those flavors sound soooo amazing! Your photos are gorgeous! Thank you so much Char. It’s something so simple yet addicting! You are welcome Linda. It’s been so long since I had Urap. 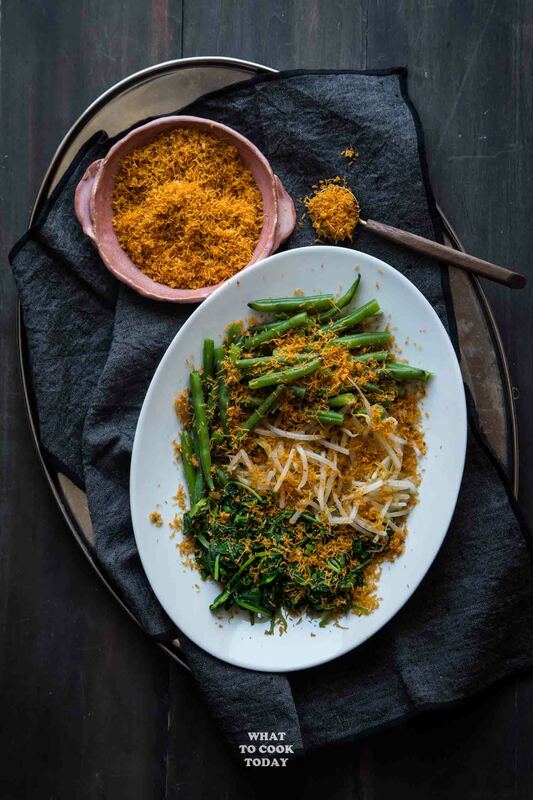 The grated spiced coconut looks like an intriguing ingredient to try! Thanks for sharing your recipe, I learned so much about Indonesian flavors and ingredients. What a lovey photography you have done with your cooking! And what an interesting idea for a fresh homemade salad! I love your cooking style since you keep the ingredients simple and low on calories! I’m looking forward to making this salad and eating it all myself! Thank you Sharon. I’m so glad you find it useful.